Consultants for AS9100D, ISO 13485:2016, ISO 9001:2015, ISO 14001:2015, ITAR and more. QSC Group, LLC offers consulting, training, audit services, software, and many other services both in person and online for organizations of any size interested in quality and environmental. Whether you need to implement a management system to comply with ISO 9001, ISO 13485, ISO 14001, AS9100D, ISO 19770-1, ISO 27001 or FDA cGMP we are ready to help. Not only do we have the resources to facilitate the implementation of quality management systems, we also have the expertise to help you with training, internal auditing, database development, process and instrument validation, engineering services, GD& training, FMEA training, AS9102 training, First Article Inspections Training, Supplier Audits, Aerospace Compliance and so much more. We are unlike most quality management consultation businesses in that we have experienced consultants for every aspect of your company's needs and QSC Group, LLC is certified to ISO 9001:2015. We pride ourselves as being able to provide consultation and implementation resources for all of your needs, at a cost that will not break your budget. Our focus is on value-added processes and we avoid the bureaucracy that slows down progress.  QSC Group provides expert ISO consulting services in Massachusetts, New Hampshire, Maine, Connecticut, Rhode Island, and New York. We offer training for AS9100, AS9100 First Article Inspections, AS9102 Inspections, AS9102 First Article Inspections, GD&T, FMEA, CAPA, and more. We can bring your employees to the level your business needs.